Hone your photography skills and learn how to take better pictures in a pristine rainforest environment. 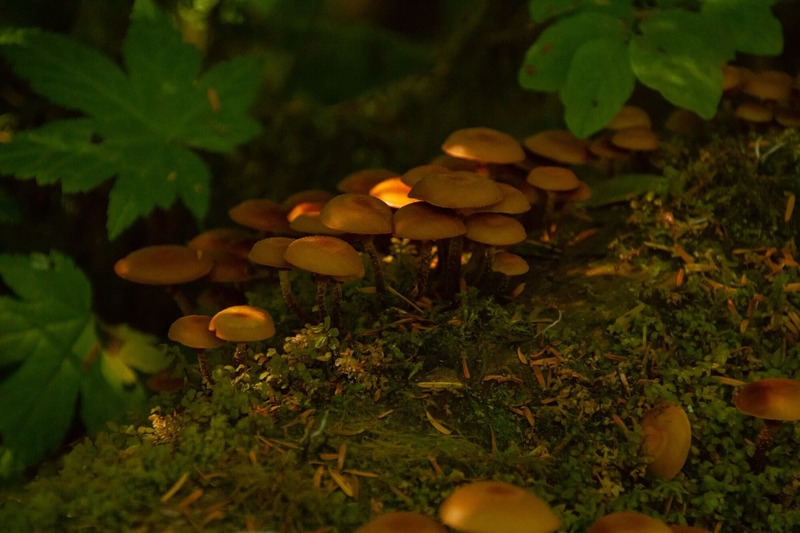 Join us on an incredible once in a lifetime adventure as you explore all the forest has to offer with one of our expert photographers and naturalist guides. 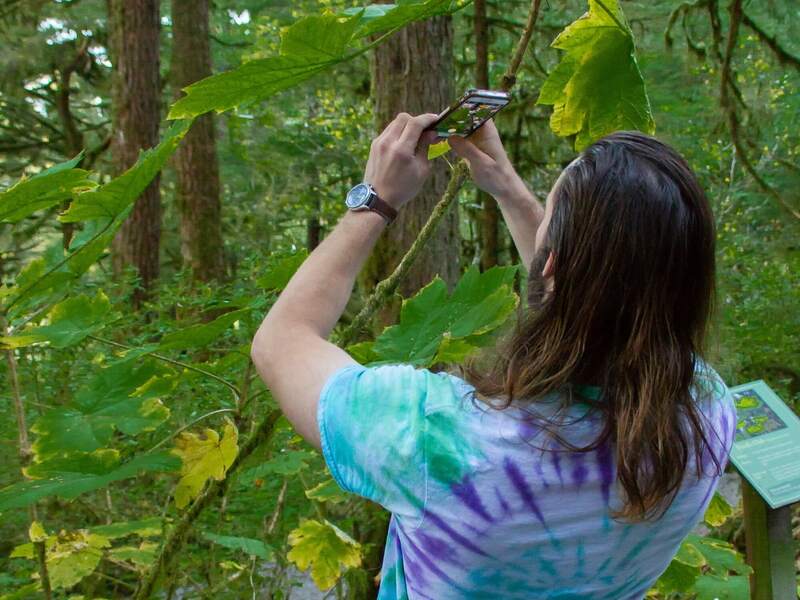 Grab your camera or cellphone and join us in pursuit of the flawless Instagram picture and that perfect shot. 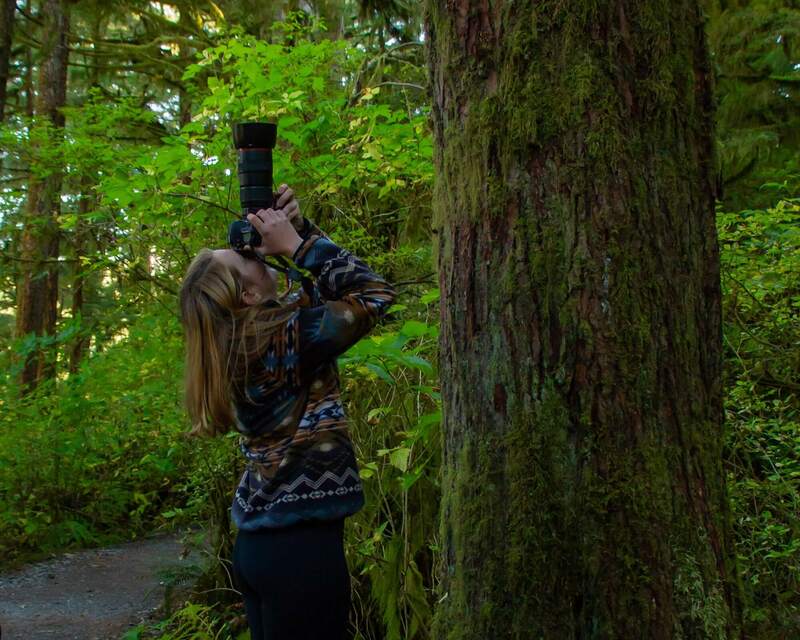 Let us show you our office, which happens to be in the middle of a pristine temperate rainforest! Let’s bring your tour into focus. 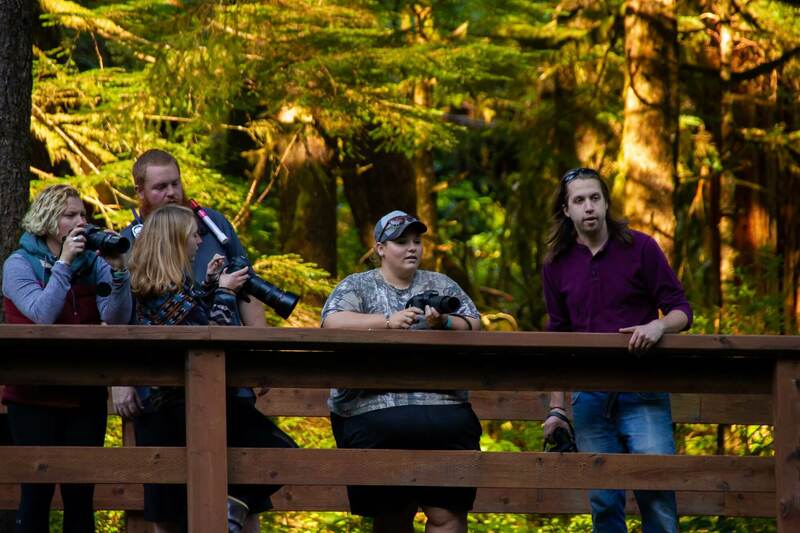 After a scenic coastal drive from Ketchikan to a private 40-acre reserve located in picturesque Herring Cove you’ll be greeted by your guide, who will lead you on about a mile-long walk among the towering trees and curious world of the local flora and fauna packed with life and brimming with photo opportunities. Next, you will visit the Alaska Raptor Center exhibit where you will some of Alaska’s most beautiful and majestic birds of prey, including a Bald Eagle! 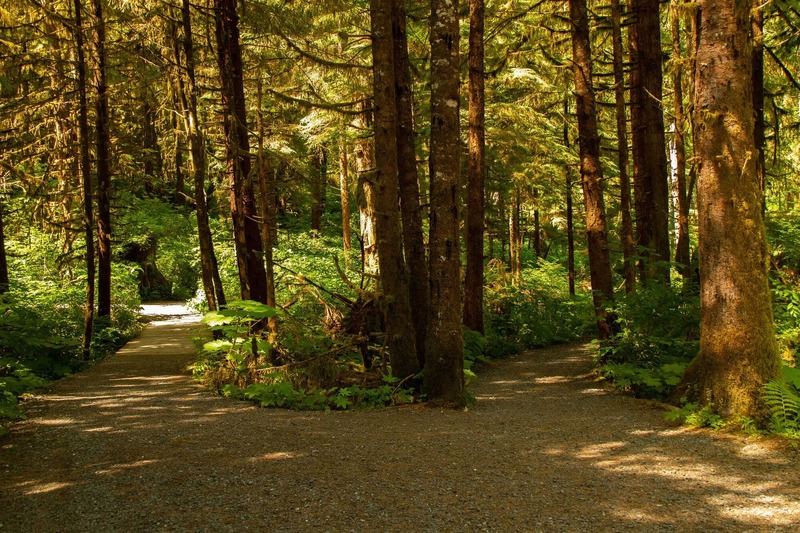 Then, gain appreciation for Alaskan Native culture while exploring a Tsimshian totem park. You came. You saw. You captured! Our world-class service and small groups allow for a personalized experience giving you plenty of one on one time with your photography guide. 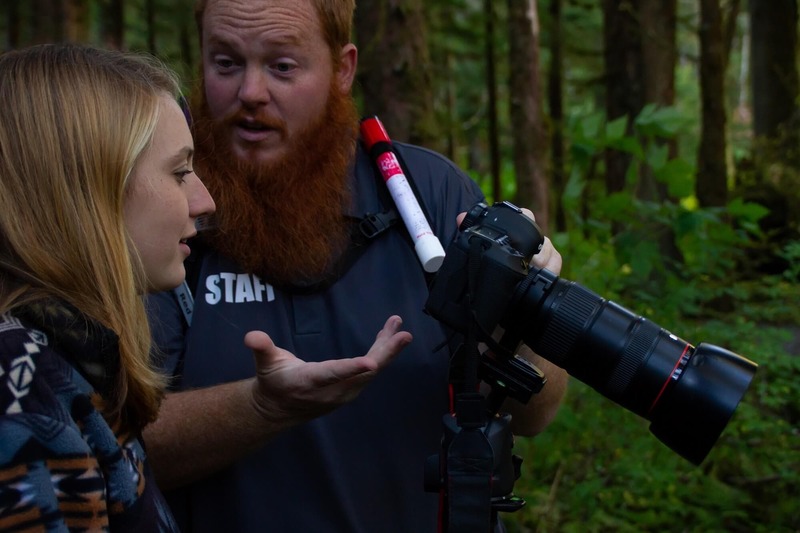 Guides will help with tripod set-up, suggest camera settings, share special angles, point out wildlife and natural phenomenon, advise on changing light conditions, and more. Our professional guides will share with you their wealth of experience photographing landscapes and wildlife all over the world! Practice your newly acquired skills. You will have time to independently explore the historic Herring Bay Lumber Company Saw Mill, the totem park with its impressive 40-foot totem and first Tsimshian totem pole park in the Country with 13 poles and the most known to be displayed by one artist and view a blacksmith at work. Shop for souvenirs in the General Store before returning to town. Please Note: Bring your personal camera and photography equipment. Rain ponchos are available, if necessary. This tour operates in all weather conditions and to ensure unobstructed views will be available on select days. Best Day Ever! Ask for Sarah! We arranged for 100 teachers from our Science at Sea cruise to Alaska to visit the sanctuary. Perfect mixture of great science content and a fun way to experience this amazing place. Our educators were beyond impressed with all of the guides and their ACCURATE knowledge of the plants, trees and wildlife. Great to see a place that hasn't been completely commercialized. Don't miss the raptor center (phase 1 of construction was just finished). We were surprised to see "Sitka" the bald eagle at this center. 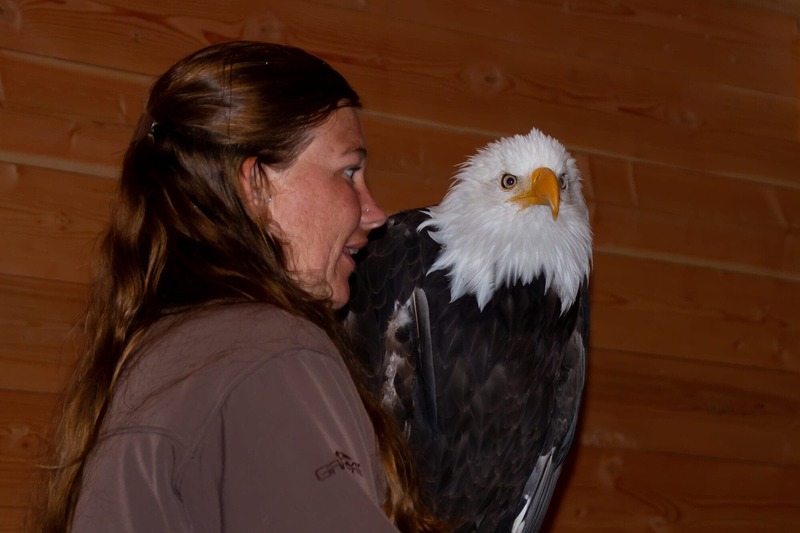 We're used to seeing her at the raptor center in Sitka. Every part of the experience was first class. Highly recommended - 10 out of 10! We were on a cruise and booked the 'Herring Cove Bear Adventure' before the trip. It was a short bus ride to the Sanctuary where we were introduced to 2 guides, before setting off for a short walk onto the raised walkways. It wasn't long at all before we saw our first Black bear and her cub, feeding on salmon from the river. It was fantastic. The bears obviously knew we were there but were more interested in feeding. A bald eagle then landed on a rock in the river close by and started feeding on salmon too. A short walk through the sanctuary and we saw Otters playing in the sun before we were shown some rescued birds in captivity, (Owl, Bald Eagle & Hawk). It was a fantastic experience to see these animals close up but still in the wild and we wouldn't have missed it for the world. What a pleasant surprise it was to see so many bears! We enjoyed our tour of the rainforest and loved seeing bears and bald eagles in the wild. The tour guides were excellent - helpful, informative, kind - and mindful of our safety. Was a great shore excursion even though we experienced quite a bit of rain - maybe bears like rain?